When it comes to catering in Norfolk, VA, few companies can boast of being more innovative than TCC Catering. TTC Catering has adopted a unique and innovative approach to catering. Instead of using traditional channels of menu selections, clients can customize their menus at the comfort of their homes on the caterer’s official website. 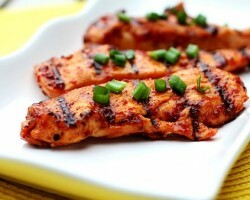 Clients can choose lunch, breakfast and event dinner menus. Thanks to its convenient approach to catering, TCC catering is among the best wedding catering companies in Norfolk. All in One catering is a company that lives up to its name. With a wide selection of diverse menus, from Mexican food to bbq, this company offers delicious foods presented in the most creative of ways. Every event handled by this company is hand-designed to coincide with a client’s detailed specifications. Thus, clients are guaranteed a stress-free event. As one of the top catering firms in Norfolk, All in One Catering caters to different clients from local clients to foreign clients. Established in 2004, Sweetwater Cuisine has been the home of delicious Southern Virginia Beach cuisine for over ten years. 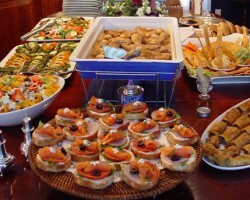 Catering to corporate and individuals, this catering firm is one of the leading Norfolk catering service providers. 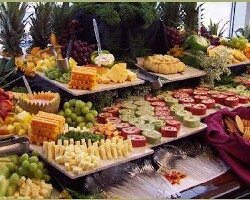 The company takes a custom and personalized approach to catering services. In this regard, every client is accorded personalized and customized services desired to fit their budget, preferences and event desires. 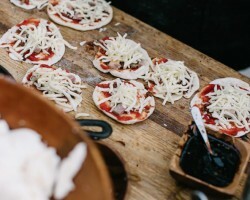 This award-winning caterer is the ideal catering company for anyone looking for something unique. A family owned Turkish Restaurant, Pasha Mezze is a restaurant that has become synonymous with delicious foods and impeccable catering services in Norfolk, Virginia. The restaurant’s objective is to surpass the expectations of its clients. Towards this end, the restaurant strives to use 100% organic ingredients in the creation of its culinary works of art. Pasha Mezze is always delighted at the prospect of helping clients create a custom and unique menu for their private events, weddings and other such occasions.